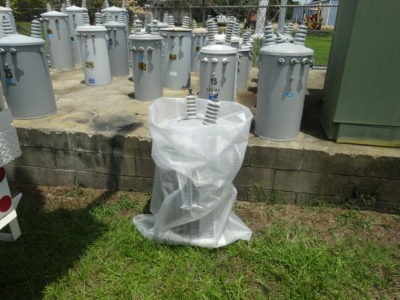 Transformer Bag Kits are an easy, cost effective way to transport and store leaking transformers. Multiple layers and cord reinforcement resist punctures and tears. Cold-crack resistance eliminates failures in extremely cold temperatures. 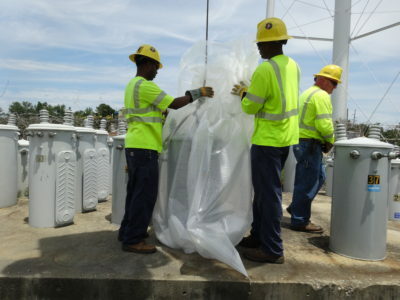 Flexibility and light weight allow for easy handling and quick installation. Meltblown polypropylene pads are included in each kit to absorb any leaked dielectric fluid. 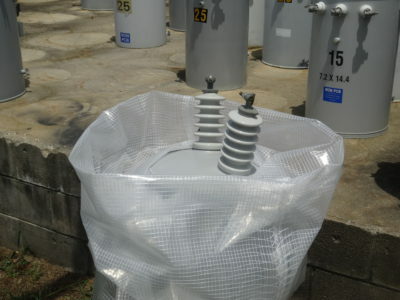 Each Kit includes (2) Meltblown Polypropylene pads that together absorb 2.5 gallons.